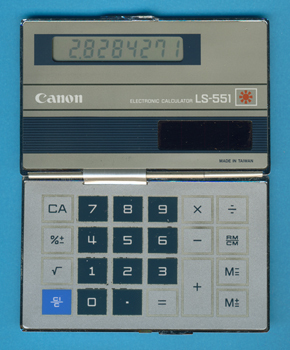 Size: 4.2" x 3.3" x 0.11"
This Canon LS-551 might be one of the most stylish calculators from the Eighties. Just compare it with the later LS-565H. © Joerg Woerner, December 30, 2014. No reprints without written permission.